AFTER TWO MONTHS of relative quiet on the missile launch front, North Korea Tuesday tested an intercontinental ballistic missile that, early estimates show, has a range that could hit anywhere in the continental US. But pay close attention to the caveats. The test came in the dead of night, a little after 3 am local time, with the missile eventually landing in the Sea of Japan about 600 miles away from the launch site. It took nearly an hour to get there, reaching an altitude of about 4,500 miles. While North Korea had already tested its first ICBM in July, the latest test flew significantly higher and longer. Analysts gauged this summer’s Hwasong-14 missile as having a range of around 4,000 miles—far enough to reach much of Alaska—but Tuesday’s launch quite literally goes much farther. North Korea earlier this year appeared to have gained the ability to miniaturize a nuke, a step that, added to ICBM capabilities, makes for a combustible combination. 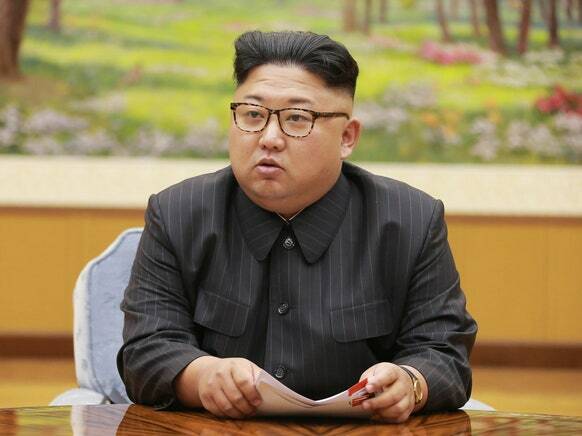 While several other technological pieces still need to fall into place, with Tuesday’s launch, the Hermit Kingdom’s military has cleared yet another hurdle in the path of its offensive ambitions. “The bottom line is it is a continued effort to build a ballistic missile threat that endangers world peace, regional peace, and certainly the United States,” Mattis added. But while North Korea’s ICBM progress rightly rings plenty of alarms, in practice it looks less like a significant technological advancement and more like an incremental improvement. What North Korea can and cannot do technologically remains shrouded in some mystery; there’s always a chance that it simply chose not to show its hand for whatever reason. But even so, there are further important differences between a test missile that could potentially hit the US and actually doing so. Take the missile’s payload, the weight of which would dramatically affect just how far it could fly. That “big and heavy” doesn’t travel as far on the same missile as “quite small” is not the stuff of advanced degrees. While the exact size of North Korea’s potential nuclear payload is unknown, Wright suggests that adding it to a missile like North Korea just tested could shave its range by about a third. Setting aside the technological speed bumps, many remain skeptical that North Korea would actually go so far as to launch an ICBM at the United States, given that the reprisal likely would effectively obliterate the country. Instead, experts generally see the ICBM launches as shows of strength designed to prevent US aggression, rather than provoke it. The question once again becomes what, if anything, the US does in response. Trump had already placed North Korea on the list of state-sponsors of terrorism. Sanctions have steadily ratcheted up throughout North Korea’s various nuclear and missile tests this year. Which is the real concern from Tuesday’s test: that given Trump’s rhetoric so far, there’s only so much room left to escalate.